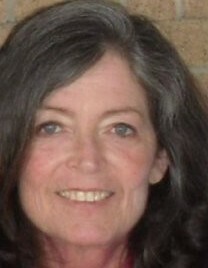 Kathleen Mary Elmore, 66, wife of Tim Elmore, of Cross Hill, SC, died Monday, February 11, 2019 at Self Regional Medical Center. She was born in Massachusetts to Regina Nihan Martin and the late Dingus Martin. Kathleen was formerly employed as a Medicare specialist; most recently, she was the office manager of a neurologist’s office. Her hobbies were reflective of her artistic ability. Kathleen spent contented hours painting with acrylics and crafting. She was widely known for constructing stars from Christmas cards; Kathleen was generous in sharing the stars, almost everyone in Cross Hill had one to enjoy. She was an active member of Liberty Springs Presbyterian Church. In addition to her father, Kathleen was preceded in death by a grandson, Eli Xavier Elmore. She is survived by her husband, Tim, of the home; her mother of Chappells; two sons, Jon Goy (Gina) of Stokesdale, NC and Patrick Goy (Stephanie) of Prosperity; step-children, Terri Elmore Gaffney (Chris) of Ridgeville, Tara Elmore Chase of Houston, TX, Ryan Elmore (Kasie) of Prosper, TX, Joseph Elmore of Fayetteville, GA and Matthew Elmore (Lauren) of Dayton, MD; a brother, Danny Martin (Becky) of Jacksonville, FL; a sister, Aileen Lawton (Rusty) of Chappells; twelve grandchildren, Danielle Floyd, Devon Goy (Lindsey), Casey Goy, Brittany Goy, Tyler Goy, Nicole Tye (Kevin), Ryan Gaffney, Allison Elmore, Ty Elmore, Cole Elmore, Trypp Elmore and Fiona Elmore; and one great-granddaughter, Lily Tye. A service to celebrate Kathleen’s life will be 2:00PM, Saturday, February 16, 2019 at Liberty Springs Presbyterian Church in Cross Hill. Memorial contributions, in memory of Kathleen, may be sent to Liberty Springs Presbyterian Church, 200 W. Liberty Springs St., Cross Hill, SC 29332. Harris Funeral Home and Cremation Services, Abbeville is assisting the Elmore family.